When we think about early historical maps—early examples of maps that show the world at a different point in history—we think of mid-sixteenth-century maps such as those in Abraham Ortelius’s Parergon, which depict the lands held by the Roman empire, the area in which Abraham was active, and so on. And when we think about thematic maps—maps of the world’s islands or rivers, for instance—examples from the genre’s heyday in the nineteenth century come to mind, though there are thematic maps known from the late sixteenth century. In our new book Apocalyptic Cartography: Thematic Maps and the End of the World in a Fifteenth-Century Manuscript, just out from Brill, my co-author Ilya Dines and I discuss the texts and maps in a short fifteenth-century manuscript made in Lübeck, Germany, which is now in the Huntington Library (MS HM 83). 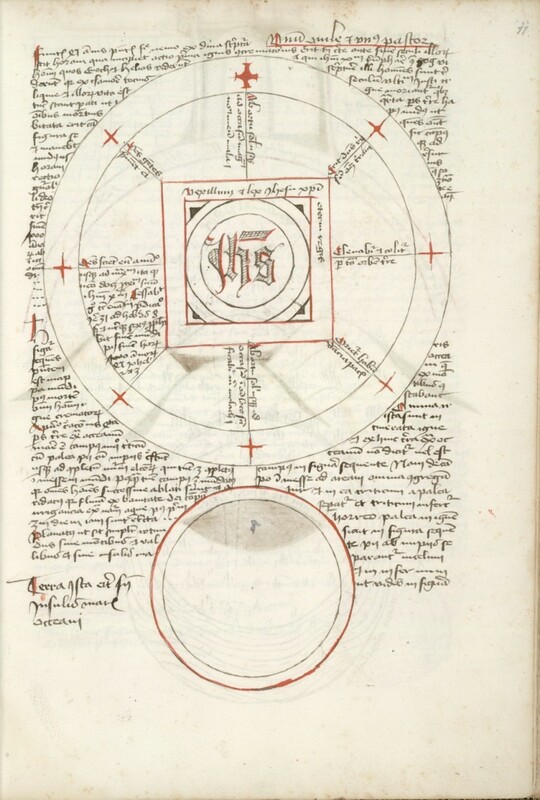 The anonymous manuscript consists of a short geographical treatise illustrated with maps, a short treatise on the Apocalypse illustrated with maps, and a collection of texts on astrological medicine. Remarkably, the manuscript contains both historical and thematic maps. The most important historical maps in the manuscript are a series that illustrate in stages what was supposed to happen during the Apocalypse. There are many different artistic programs with which the Apocalypse was illustrated during the Middle Ages; there is a certain logic to illustrating those great changes with maps, but nonetheless the program is unprecedented. This series of maps illustrates those stages according to the author’s own chronology, at the years 639, 639-1514, 1514-1570, 1570-1600, 1600-1606, 1606-1661, and finally the Day of Judgement. As the manuscript was made in the fifteenth century, all but the first of the sequence are prophecy maps, and as such, are historical maps. To focus on one of these maps, the map for the years 1600 to 1606 shows the world after Antichrist has taken over (fig. 1). The world is a disk of land surrounded by the ocean, with four huge peninsulas jutting into it and an island joined to the central disk by a causeway. Jerusalem is labeled at the center of the world, and Antichrist is indicated as being there. The four large peninsulas, in a stunning stroke of symbolic cartography, represent the four horns of Antichrist, which in turn represent the four methods by which he will deceive people into following him: Deceit, Cunning, Cruelty, and Imitation of the Deity. The ten lost tribes of Israel are shown travelling from their island on the causeway to Jerusalem to join Antichrist. The situation changes completely in the next map, which shows what the author thought would happen from 1606 to 1661 (fig. 2). The center of the world is now occupied by the flag and law of Christ, which the text says will be raised and worshipped throughout the world. At the bottom of the folio there is a remarkable second map that shows the surface of the earth devoid of features and place names, and the circumfluent ocean empty as well. The text nearby explains that all of the features of the earth have been burned away. The world is a stark blank, and there are no spatial relations for the map to indicate. This sequence of maps is cartographically very rich, much more so than can be indicated in a few paragraphs here. 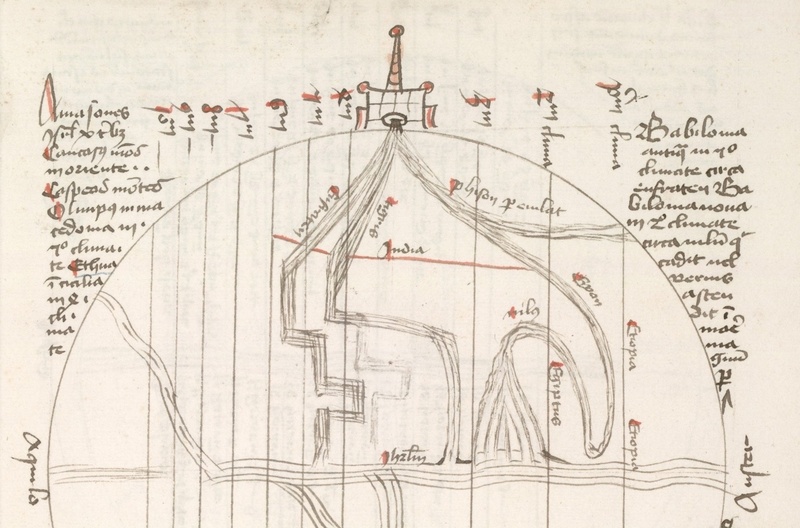 The manuscript also contains some of the earliest thematic maps: a map of the world’s islands, another of its navigable rivers, and so on, and importantly, the maps seem to have been created with a conception of the genre very similar to the modern understanding of it. 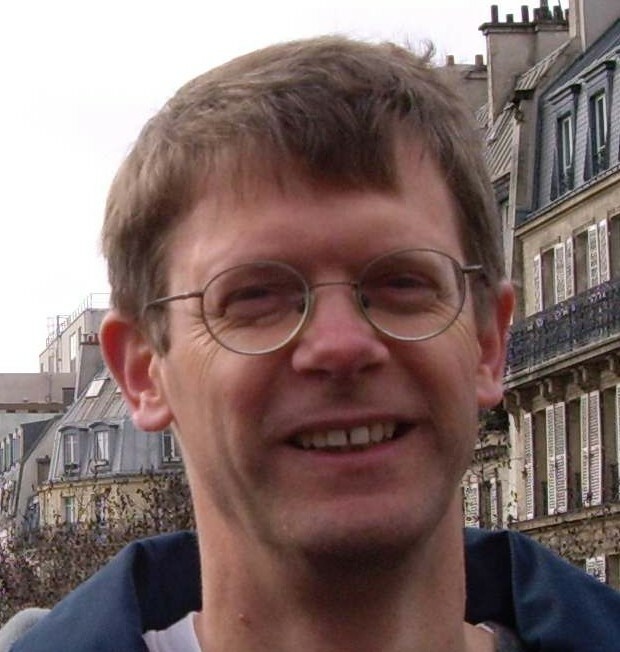 The author includes a brief discourse about the four different functions maps can have, and also about how maps have developed over time. The anonymous creator of this manuscript was a cartographer of striking originality whose work deserves to be better known. In Apocalyptic Cartography, we provide strong evidence that this unusual work did circulate, and also suggest that the author was one named Baptista, a doctor from Lübeck who had been appointed by Pope Pius II to care for pilgrims at the Franciscan monastery on Mount Zion. 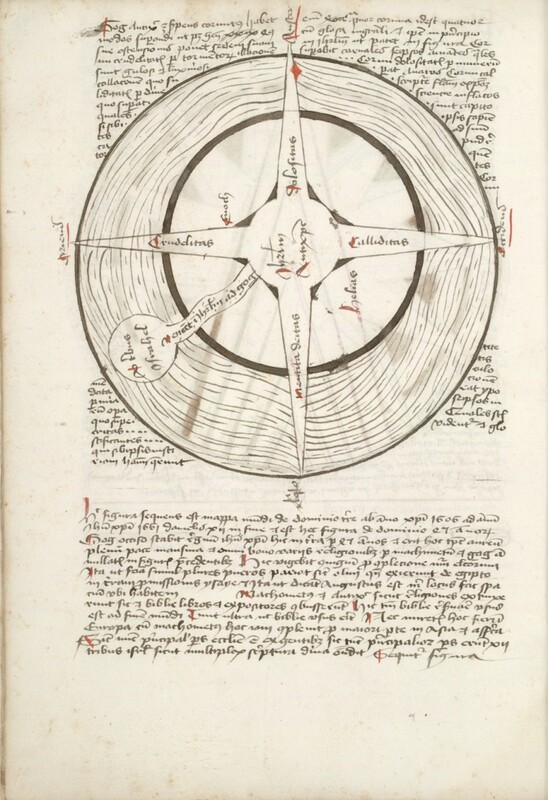 More details are available in Apocalyptic Cartography: Thematic Maps and the End of the World in a Fifteenth-Century Manuscript.